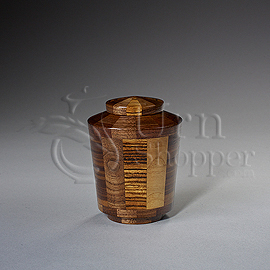 This is a miniature urn and is intended to hold only a small portion of cremains. Its maximum volume is 14 cubic inches. 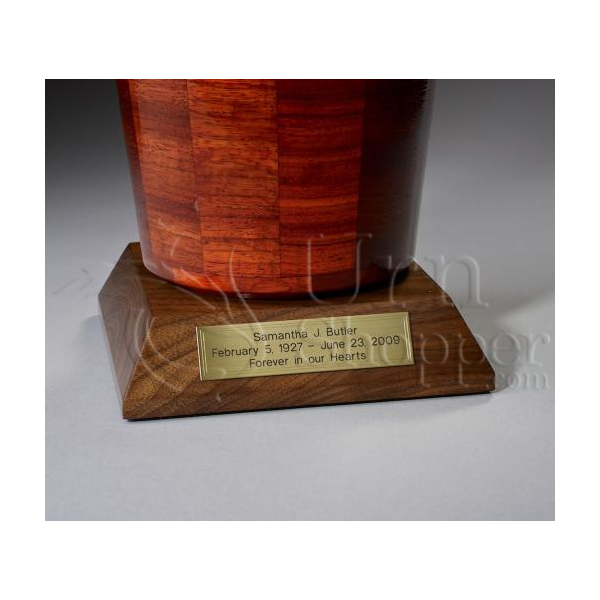 The Almighty hardwood token cremation urn is crafted from black walnut and exotic zebrawood in the shape of a contemporary-style vase. It has a top-opening lid.